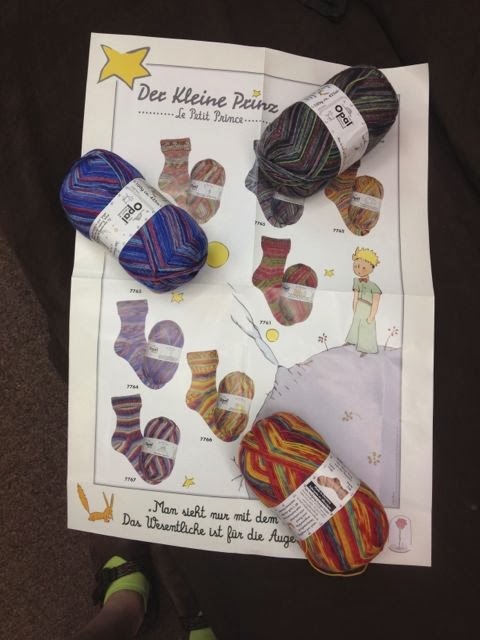 Little Prince sock yarn from Opal. 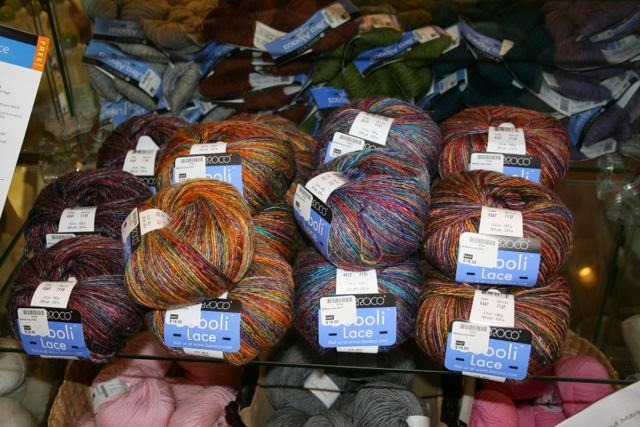 Each colorway is related to the book. Boboli Lace from Berroco. It's a DK weight, single-ply yarn in lovely multicolored shades. 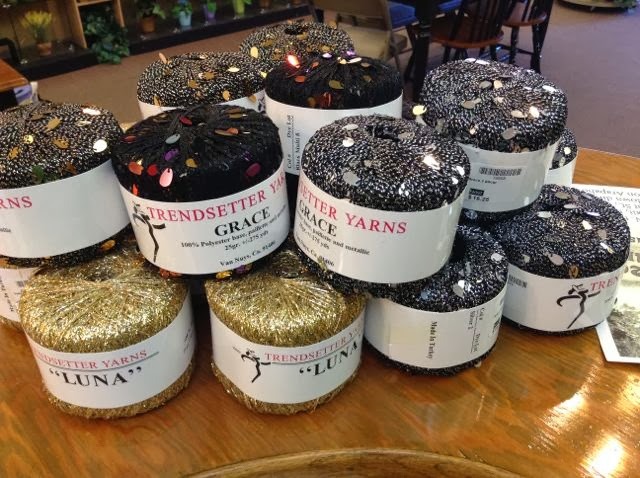 Trendsetter Grace and Luna, perfect knit-along yarn to add some sparkle to any project. 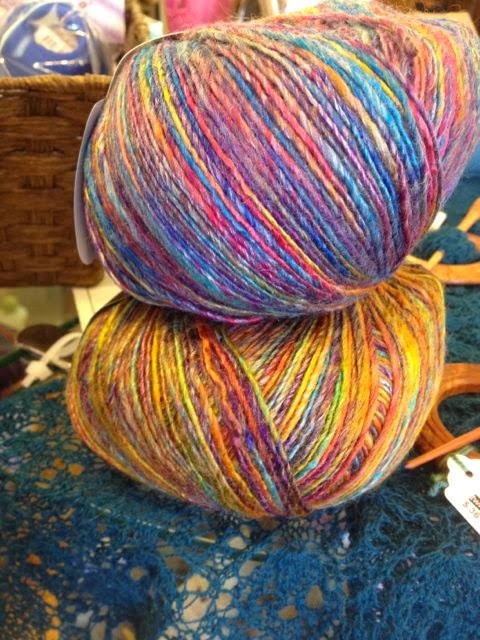 Trendsetter Merino 6, our basic superwash DK merino that is also pre-shrunk. 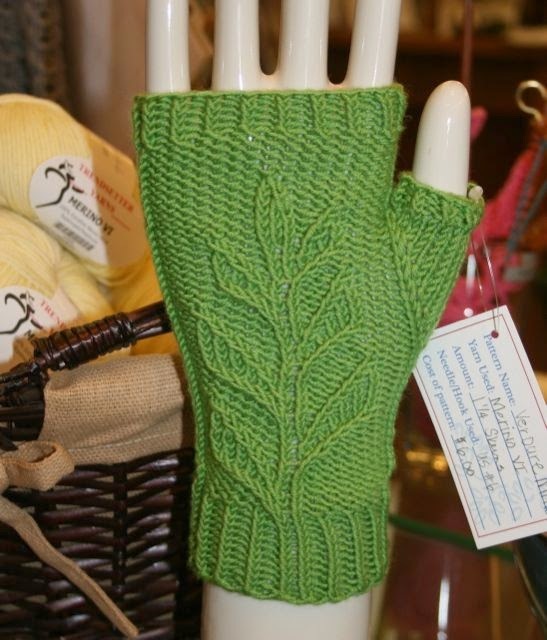 I did this fingerless glove in one evening! The pattern is called Verdure, and the pair takes just a little over one skein. 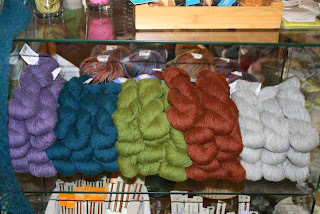 We've started getting Ultra Alpaca Light, the 50% wool/50% alpaca blend from Berroco that is such a delight to work with. 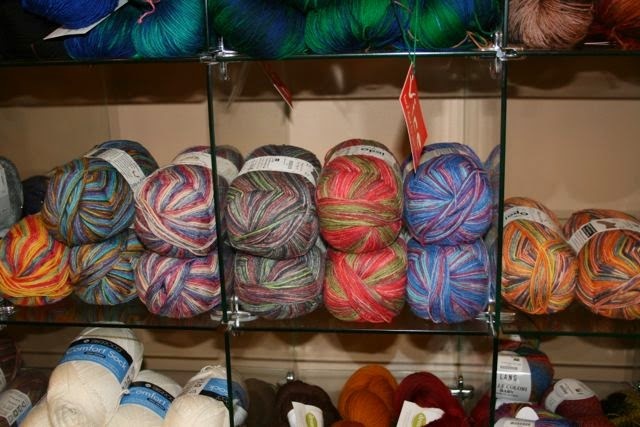 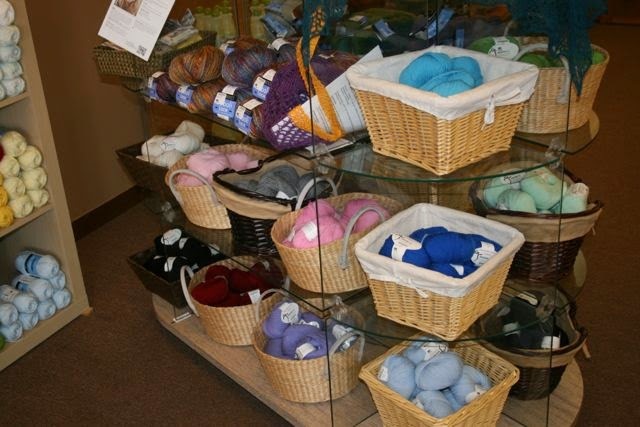 We will continue to add to our color selection in the next few weeks, so keep looking for more yarn! On the way - Dream in Color Posh Sport, and Everlasting DK (should be here in 2-3 weeks.) 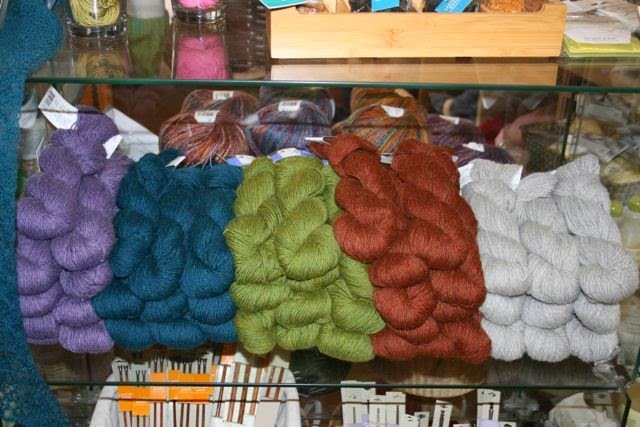 Also remember that we're always happy to order any color we don't have on the shelf! I am excited to get a touchy-feely session tomorrow when I am in the shop!